The shipyard made several large hullcuts in order to rig out the main engines to have the rotors reworked in the machine shop. You can see daylight streaming in past scaffold rods. 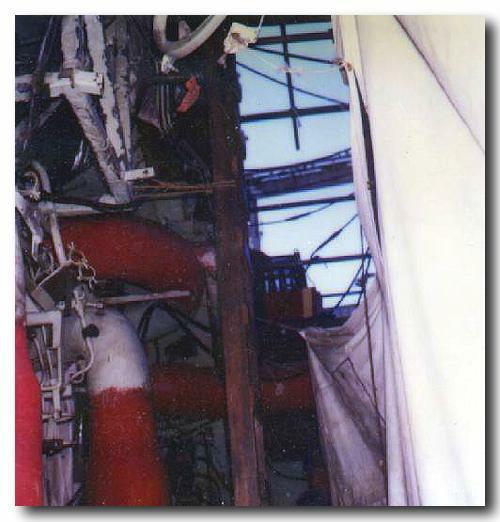 The photo is taken from the centerline looking starboard between the ship service turbine generator on the left and the main engine behind the tarps on the right. The steam piping lagging can be seen with the higher pipe making the racetrack loop to allow thermal expansion.